Opening very quietly last weekend before the official launch this Sunday, The Peach Pit in Scarborough is already pumping, and for very good reason. Sitting pretty on the Scarborough Esplanade—in the spot that was once James Squire—The Peach Pit is almost certainly going to be your new Sunday session hot spot. 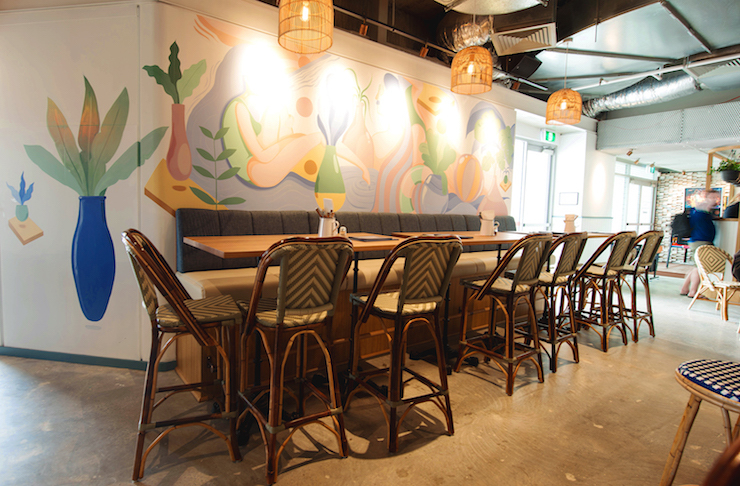 The space has had a super speedy but very impressive makeover and we can’t get enough of the ivy green walls, the uber cute booths, the high round tables, the murals and the pops of neon around the place. Oh, and we haven’t even mentioned the arcade games and the stunning bar—basically, there’s nothing not to love here. Speaking of the bar, the genius behind the cocktail list hails from Long Chim, and if you’ve ever had a cocktail at Long Chim you’ll know you’re in for something special. 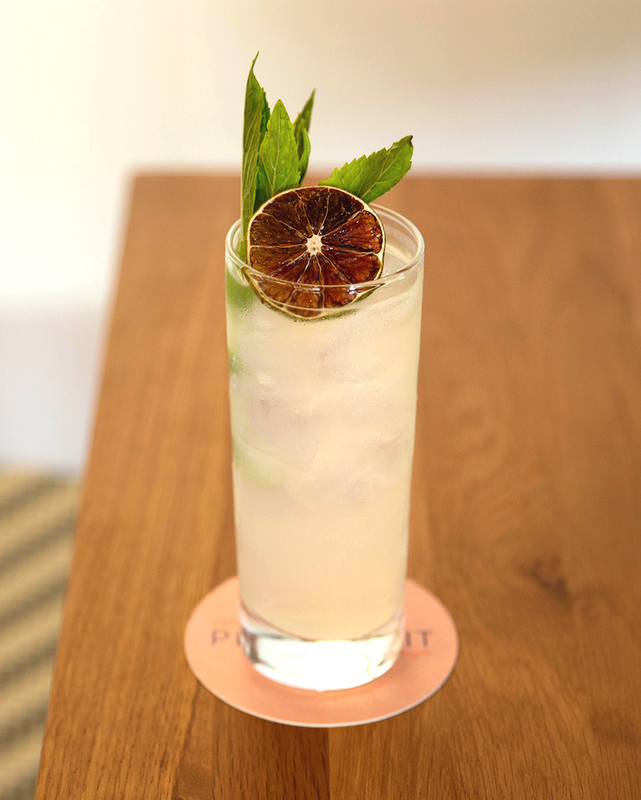 The Pêche Pêche is a delicious combo of peach and lemon, topped with a very Instagrammable freeze dried orange, but it’s the Miami Splice that we’ll be ordering every.damn.time we’re there. It’s like a pina colada on crack with a hit of chilli and we’re obsessed. You might also be interested to know you can get their signature cocktails for $10 between 5 and 6pm every Monday to Friday or if cocktails aren’t your jam, you can also get $6 wines and bubbles or schooners of tap beers and ciders. If you’re there on Sunday, it’s all about the $15 pizza and $15 jugs. If you’re getting a pizza, the heritage tomato is simple but delicious and will absolutely hit the spot. 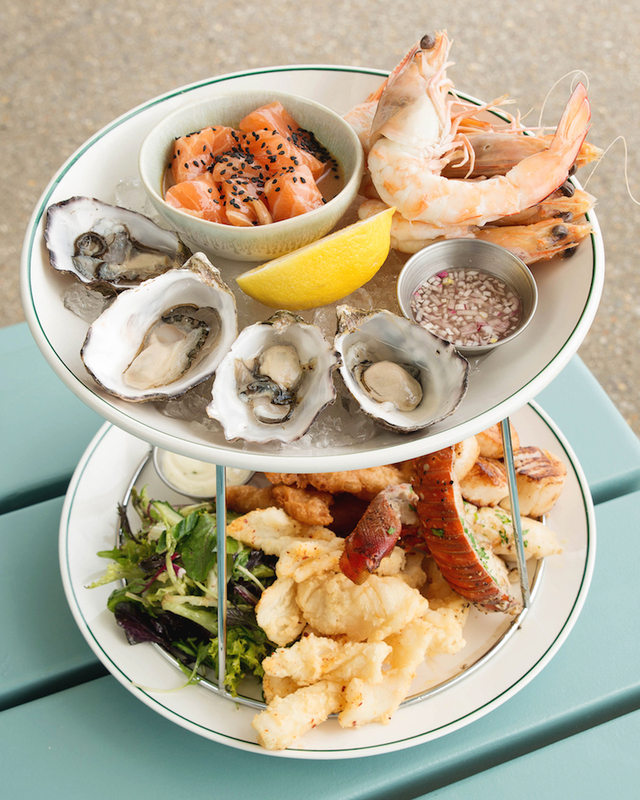 They also do a mean seafood platter with fried calamari, prawns, a couple of crayfish tails (drool), scallops as big as your head, plus oysters, battered local snapper and sashimi salmon. The pub grub is legit so if you’re after something hearty, grab yourself a steak, the fish and chips or a big fat burger, but if you’re looking for a bit of health, they also do some delicious salad bowls. The Buddha bowl is chock-full of avo, quinoa, broccoli, cashew granola and plenty of other goodies, while the poached stonefruit with blue cheese, jamon, mint, hazelnut and brioche crumb is the perfect dish to accompany your pizza to make you feel just a little bit healthier. If you’re craving something sweet, let’s just say you’re in luck. 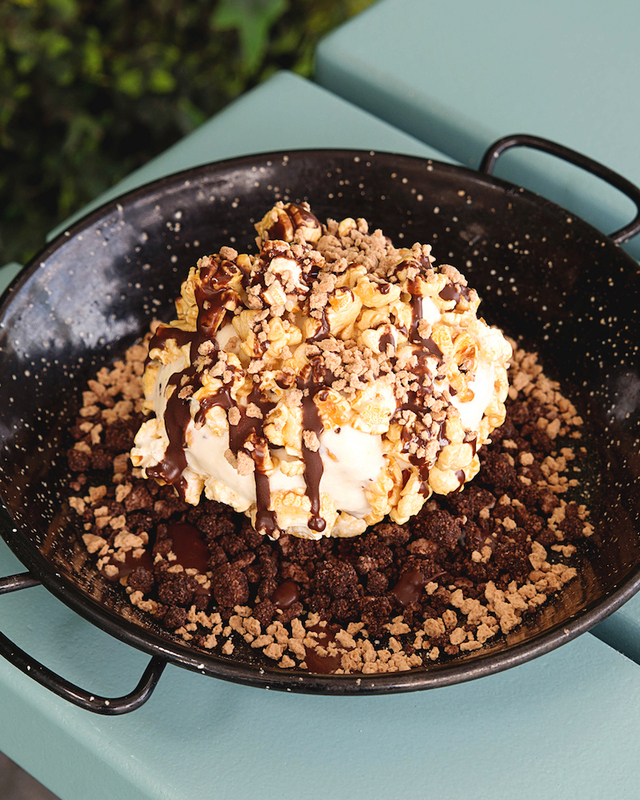 The popcorn ice cream is a big kids’ sugar-laden dream—ice cream rolled in popcorn, topped with some delicious form of ice magic and sitting in a pile of chocolate soil that doesn’t taste too dissimilar to coco pops. If your palette is a bit more refined, the poached stone fruit with vanilla semifreddo and vincotto will be right up your alley. 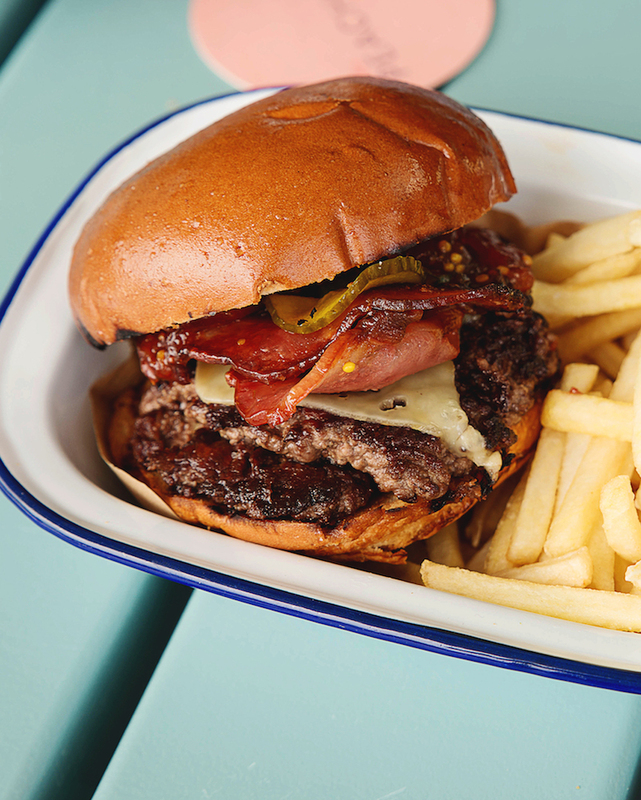 Whether you’re after a big feed or just a couple of drinks by the beach, you’ll want to get yourself to The Peach Pit immediately if not sooner.